When the sun starts coming out, minds start turning to BBQ weather and when the first opportunity will be to eat al fresco. Well fingers crossed this will happen very soon but in the meantime there is no reason you can’t enjoy these lamb kofta indoors. 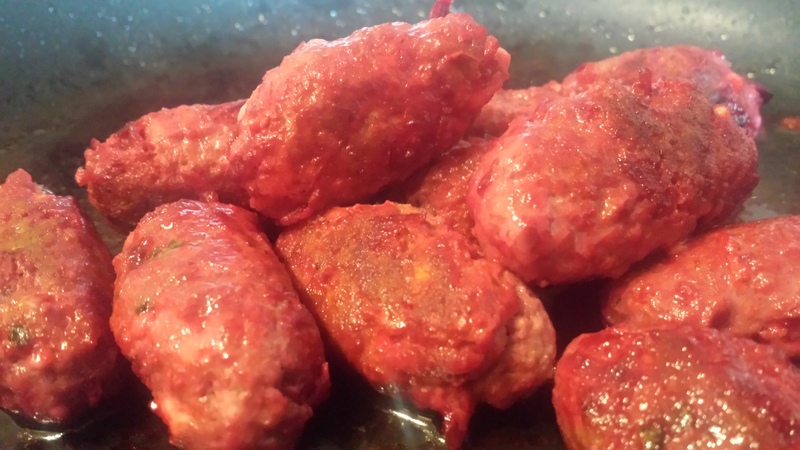 Kofta are easy to make and children can also help out! 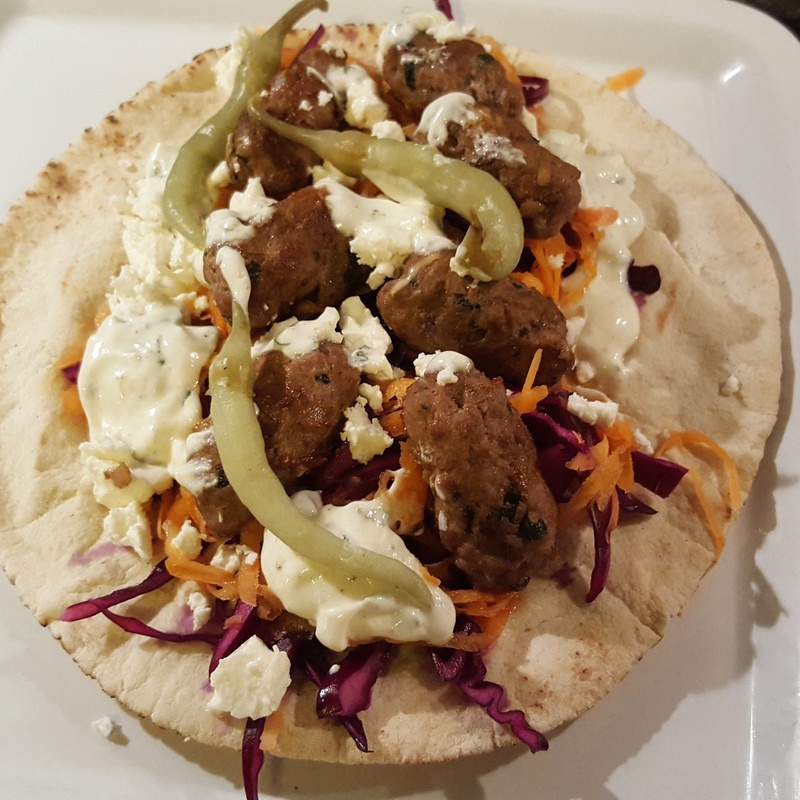 I served the lamb kofta layered on warmed flatbread along with pickled cabbage, carrot and chillies drizzled with a cool, refreshing yogurt dressing. I will admit that I did use shop bought flatbreads on this occasion to save time but feel free to make your own if time allows. I have separated the recipe into its constituent parts so you can plan ahead. the dressing and pickles can be made ahead of time. The dressing can sit in the fridge overnight but I would tend to make the pickled carrot and cabbage on the day so they retain some crunch. 1. Get started by making the dressing. All you need to do is combine all the ingredients, cover and leave in the fridge until you need it. Simple! 2. Again, the kofta recipe itself is also straightforward. Take a pan and a very small amount of vegetable oil over a medium heat. Add in the onion and garlic and cook until softened. Remove from the heat and cool. Take the mince and add the spices. mint and seasoning to it. Chilli can be added if you like a bit more heat but it is delicious without so you can taste each spice. When the onion and garlic mixture is cool, add this to the mince and use your hands (clean of course!) to squidge and squish it until firm. Cover and place in the fridge for half an hour whilst you do the pickled veg. 3. I pickled each vegetable separately so each retained its colour. Take two bowls and add the cabbage to one and the carrot to the other. Add 2 tbsp white wine vinegar and 1 tbsp sugar to the cabbage and 1 tbsp vinegar and 1/2 tbsp to the carrot. Mix well to combine and set aside for at least half an hour; stir from time to time. 4. When you are ready to get cooking simply shape the kofta into small balls or sausage shapes; make sure they are as unform in shape and size as you can so they cook evenly. Heat a little oil in a frying pan over a medium heat. Add the kofta and cook for around 10 minutes until golden on the outside and cooked through. Sometime I like to start them off on the hob and then finish them in the oven which also frees a bit of hob space up if you need it. For this heat the oven to 200c/ 180 fan and cook to finish them off. 5. Now for the assembly! Take 4 flatbreads and reheat either in a dry, hot pan or griddle. Place one on each person’s plate and layer with the pickled vegetables, kofta and yogurt dressing. This is perfect for feeding a crowd as everyone can load up their own flatbread as they like. 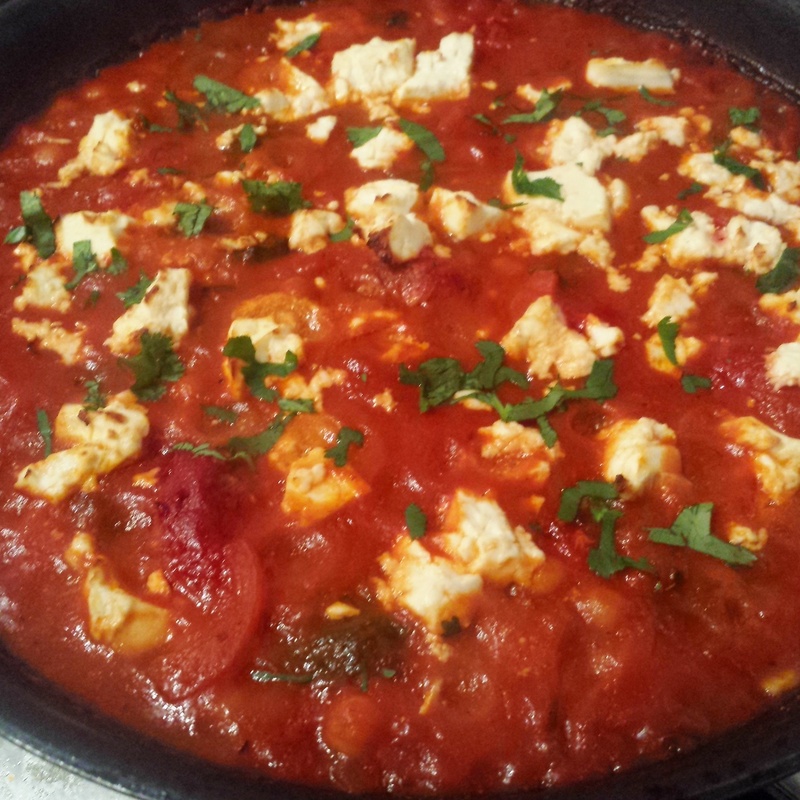 A little crumbled feta is also a delicious addition! Flatbreads loaded with spiced kofta- roll on BBQ season! Go Greek this summer with these lamb, beetroot, feta and mint koftas. Ideal to make and enjoy straight away but also delicious cold as well as freezing well. Dig in for dinner or pack for a picnic! Every for kofta need a killer dip so I’ve given you my homemade tzatsiki recipe too- don’t say I don’t treat you! 1. Start off by placing the lamb mince in a large bowl and add in the grated beetroot, crumble in the feta, chopped mint and season well. Add 1 tsp of the ground cumin and 1 tsp ground coriander. Work the mince with your hands so it becomes firm and binds together. Decent mince shouldn’t need an egg or breadcrumbs to help it along so give it a little time and form small sausages with the mixture. Place the kofta on a baking tray and chill in the fridge for at least half an hour or until you need them. 2. Meanwhile make the tzatsiki by grabbing a bowl and pouring the yogurt in followed by the mint, cucumber,garlic, a glug of olive oil, pinch of salt and a good pinch of ground cumin. Cover and chill. 3. When you’re ready to enjoy the koftas, simply heat a little oil in a large nonstick frying pan and fry in batches over a medium heat. Serve in pitta bread with salad, pickled chillies and top with the tzatsiki. 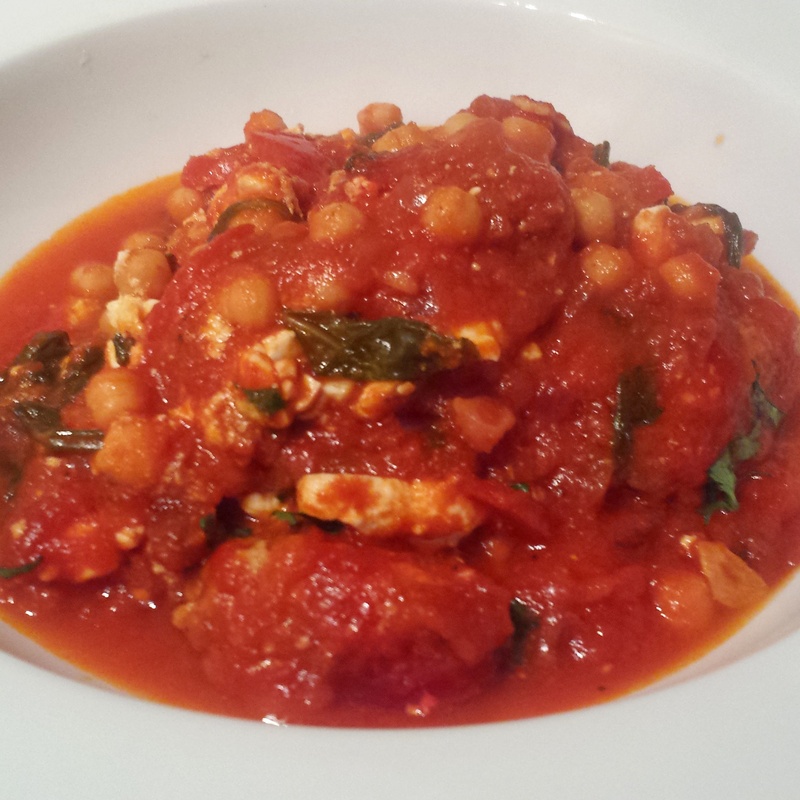 If you have leftover kofta then they are delicious cooked in a tagine style with a base of tomato- http://wp.me/p4O5jd-e3. Greek lamb, beetroot, feta and mint kofta with homemade tzatsiki- a summertime winner!